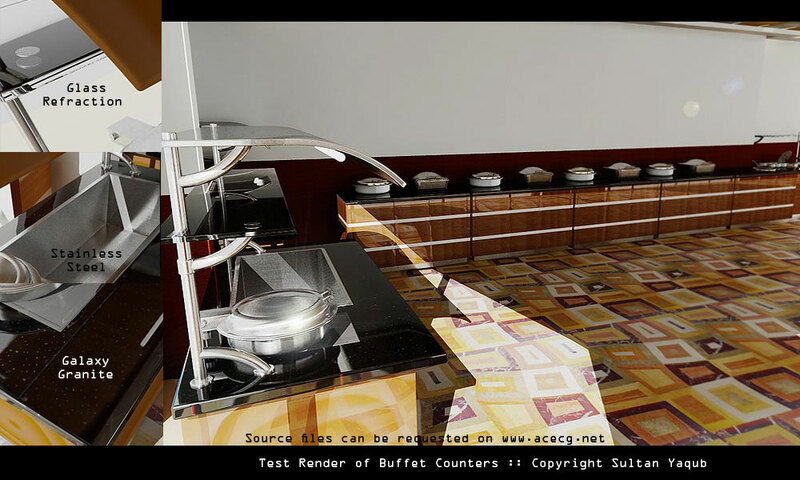 Details of 3d Materials, Architectural Materials were used. For lights i used Mental ray with a spotlight as sun and a omni in the center of the scene, since the sunlight was not enough to illuminate the center of the restaurant. The render of this single frame took 45 minutes on a P4-2 gigs of ram. Here i used Mental ray with final gather, global illumination "ON" final gather with the value of 500 and for bounce lights the value of 1. Click here to see a different render of this scene, for any questions about the settings of this lighting solution please contact me.